One-Way Manufacturing has been providing high quality machining services through a wide array of products in varying levels of development for many years. Industries served include aerospace, medical, military, and automotive. We are committed to making the highest quality parts and take pride in the speed in which we can do so. Allow One-Way to handle your CNC machining needs, whether it be for a program that includes tube assemblies or just a stand alone job. Our state of the art 3-axis and 4-axis CNC machines driven by the latest CAM software and is in turn supported by our engineering department. Skilled CNC machining operators who can accurately and precisely build your parts are consistently able to perform in a timely manner. 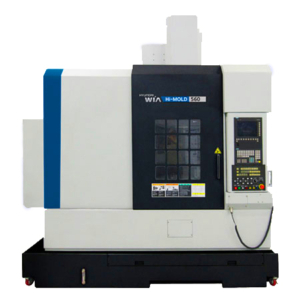 Our machines are also capable of precisely creating fixtures and tooling for your components for use in trimming, welding, brazing, pressure testing, end forming, and final assembly. After Machining, you components are sent through a rigorous quality system that ensures top notch quality. Our expansive array of equipment, including micrometers, height gauges, and comparators, can can accurately measure up to .0001″, ensuring precision and accuracy. Contact us for a quote today and let us fulfill your machining needs.